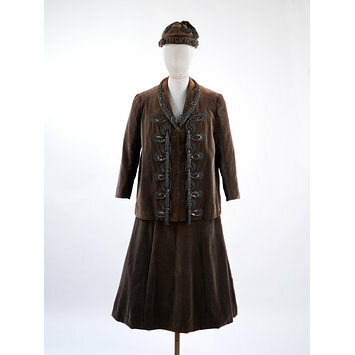 Brown velvet suit consisting of skirt, jacket and hat. 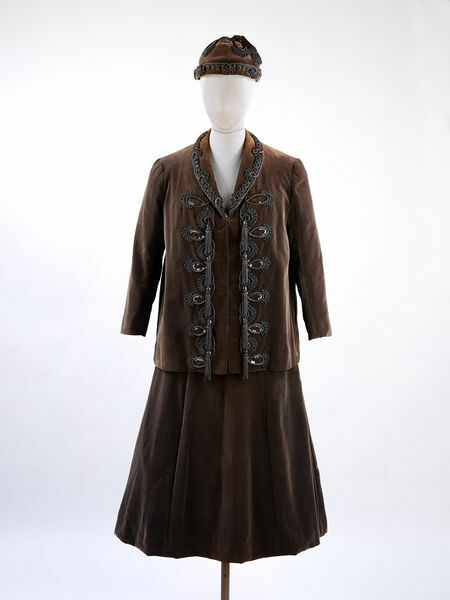 This suit was made for and worn by Gertrude Stein (1874-1946), who, with her partner Alice B.Toklas, was one of Balmain's first patrons. 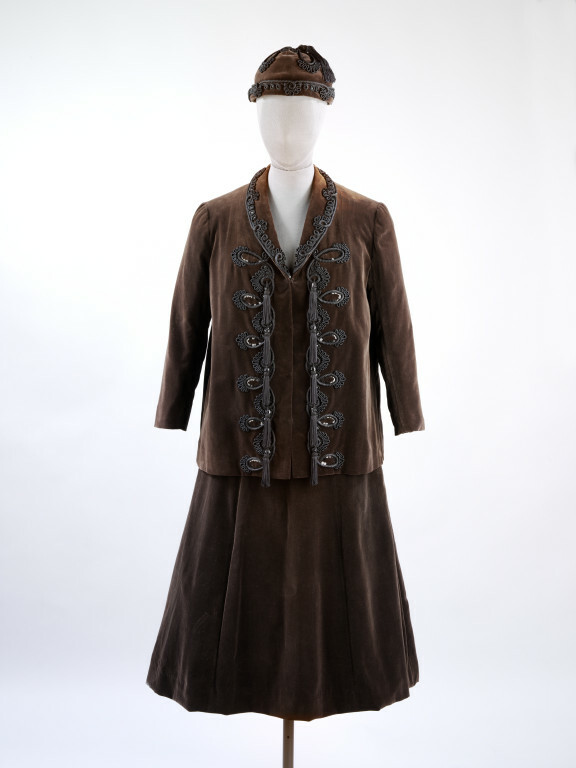 Gertrude Stein described Balmain's work as representing the "New French Style"
Velvet suit consisting of skirt, jacket and hat, designed by Pierre Balmain for Gertrude Stein, Paris, 1945-1946.